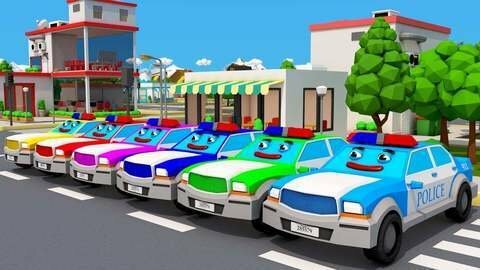 Join the Police Car in his everyday adventures through town in this car cartoon for kids. As he goes through town, he discovers different objects like a mystery box, speakers, and a hive of bees. With the help of other vehicles like the Fire Truck and the Tow Truck, you’ll see him save the day. Make sure you and your kids catch every episode of the 3D car cartoons by going to SeeZisKids.com.